Ford began mailing checks to customers this month to compensate them for the company's lowering of the estimated fuel economy for the C-Max Hybrid. The checks -- $550 for buyers and $325 for lessees -- are being mailed in batches to about 32,000 customers who bought the C-Max before Ford dropped the estimated fuel economy to 43 mpg in combined city and highway driving from 47 mpg. The checks are accompanied by a letter from C.J. O'Donnell, Ford group marketing manager for electrification, explaining the restatement and thanking customers for buying the vehicle. 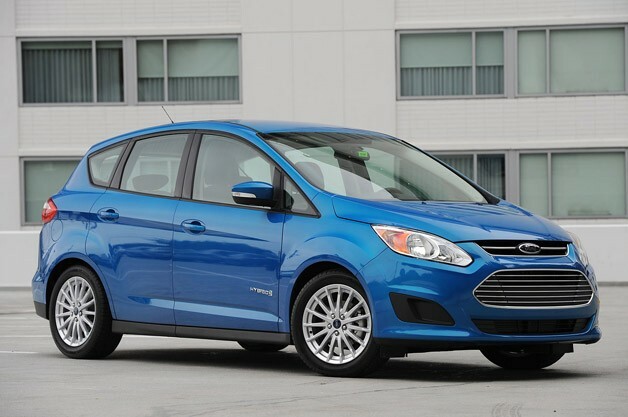 Ford restated the C-Max fuel economy on Aug. 15. At the same time, the company said it would tweak the engine software on existing C-Maxes to improve the fuel economy. The upgrades have been performed by Ford dealers. C-Maxes made after July incorporate the upgrades. Ford also has announced engineering changes that will improve fuel economy on the 2014 C-Max, which goes on sale this year. C-Max owner Jan-Michael McClintic, information technology director for MaxFlight Corp., a flight simulator design company in Toms River, N.J., said: "What I'm concerned about is resale value for this model year. Who's going to want a 2013 C-Max when the 2014s have better mileage? It's like we were guinea pigs." But so far, the fuel economy downgrade has not significantly affected the vehicle's residual values, says Eric Ibara, director of residual value consulting for Kelley Blue Book. "We don't think the restatement is going to hurt residual values. We're taking a wait and see approach to this. We base our action on what we observed during the Hyundai-Kia restatement" in 2012, he said. "We are projecting a 47 percent residual value after three years for a base level C-Max," based on 15,000 miles per year. Some customers who bought the C-Max based on the original 47 mpg city/47 highway/47 combined estimate say the payments don't make up for the worse-than-advertised fuel economy. McClintic said he went into his Ford dealership last year planning to buy a Focus. "I don't know if $550 would really cut it," he says. "I was planning on a getting a base model like a Focus. Then I saw the C-Max and thought it would be worth it if it got the mileage they advertised. I probably paid $8,000 more than I planned." McClintic is getting better fuel economy now that his Ford dealership has installed the software upgrade. "I'm right around 42 now. It's still off 10 percent from what was advertised. I'm not thrilled with it, but at the same time I'm not as upset as when we first bought it." Barb and Karl Rowe, a retired couple in Grand Haven, Mich., said they bought the C-Max last year after their 2002 Volkswagen Passat was totaled in a collision with a deer. "We tried the Escape and the C-Max and based our decision on the gas mileage," Barb says. Her husband says they felt deceived: "We thought this was going to get 47 mpg. That's great." The Rowes plan to trade in their C-Max, which they say had some quality problems unrelated to fuel economy. Their choice: a new Ford Escape. To customers who were disappointed the C-Max failed to deliver the advertised fuel economy, Ford said: "We absolutely regret anything that detracts from a positive customer experience -- and that is why we are taking improvement actions."